Global demand for one-on-one executive coaching is on the rise. 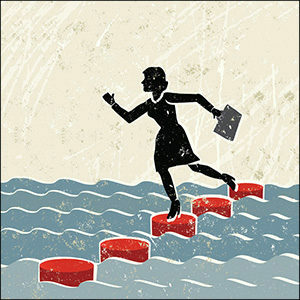 It’s increasingly becoming the go-to leadership development method for many companies. But there are two potential problems with coaching: first, the price tag can be prohibitive, and second, it’s typically not offered until managers have proven themselves as high-potentials. 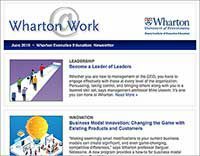 One Wharton program is making it easier for those new to organizational leadership to gain a deep level of self-awareness and effectively become their own coach. 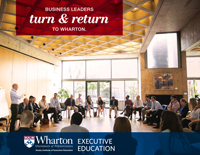 Wharton management professor Nancy Rothbard says participants who attend The Leadership Edge: Strategies for the New Leader come away with a deeper understanding of their personal strengths and shortcomings, as well as proactive ways to build on or work around them. Rothbard recalls a recent example: an introverted university leader charged with raising money for the school. 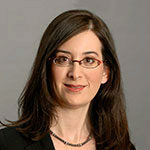 “Fundraising is a tiring activity for anyone, but it’s especially taxing for an introvert. She described walking into a 300-plus person room as a ‘nightmare.’” Early on, she told her team not to put her in that situation very often. Instead, she preferred, and was very effective in, smaller gatherings. She found a way to fulfill her obligation that didn’t involve frequent uncomfortable situations. But after a few years (and a few cocktail parties), she had an epiphany. She realized that even at parties, she was engaging with people one-on-one. She didn’t have to elbow her way in and find people to talk to — she had a team who was adept at bringing potential donors to her. The cocktail parties weren’t that difficult after all; instead it was the way she viewed them that was holding her back. She was eventually able to consciously shift her mindset, and to block out the rest of the room to focus on the one person she was interacting with.